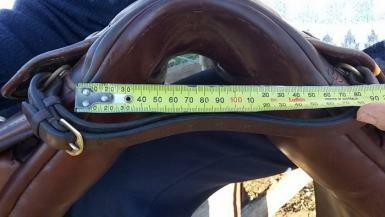 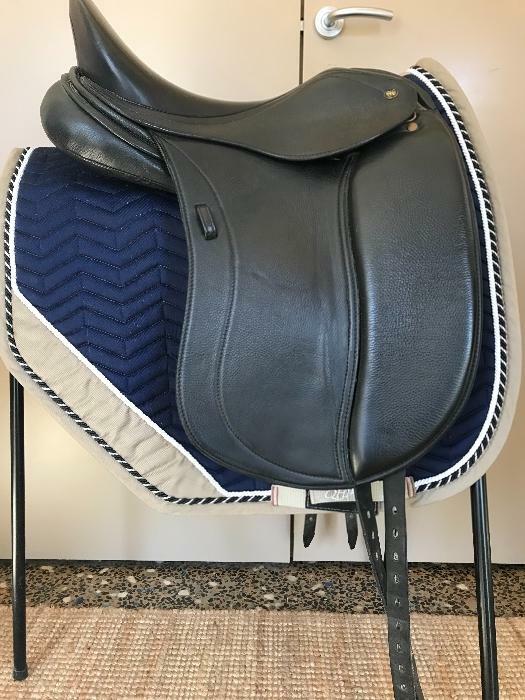 Peter Horobin Amazone dressage saddle 17.5" MW gullet. 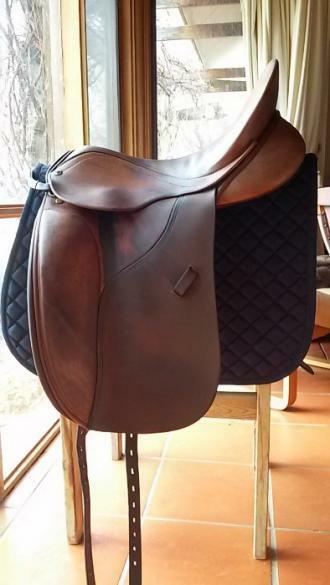 This is an older saddle but has been well looked after and is in lovely condition. 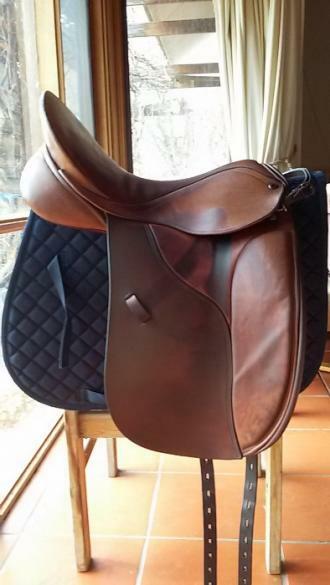 Very comfortable and has fitted a number of horses. 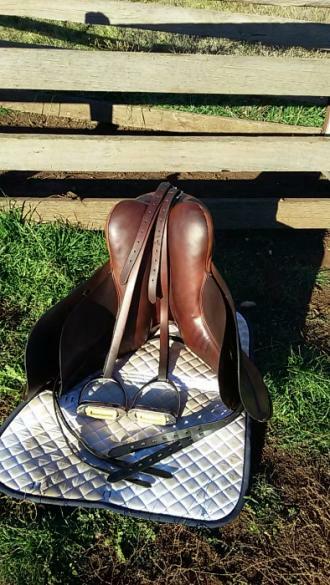 Comes with quality leathers and 4.5" korsteel stirrup irons. 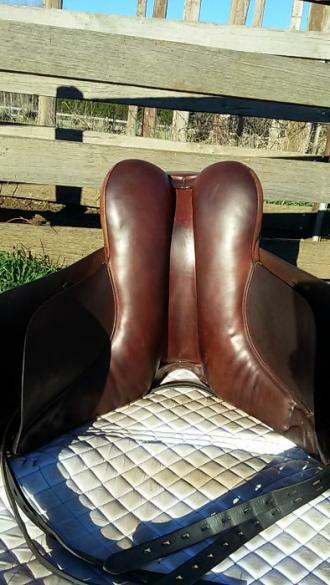 Happy to post at buyers cost.